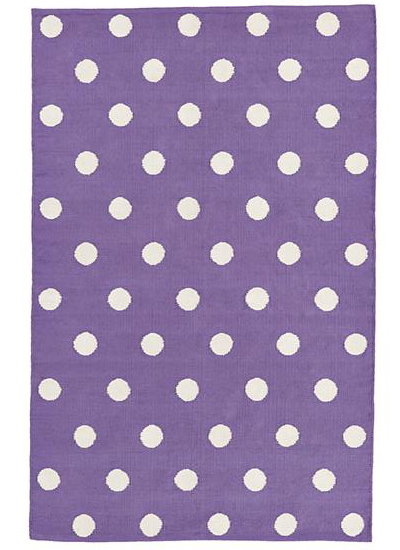 This 100% cotton handwoven Lotsa Polka Dots Rug features lotsa polka dots and is available in three sizes to fit any room. $129-$429 Sale $89.97-$299.97. Buy here.